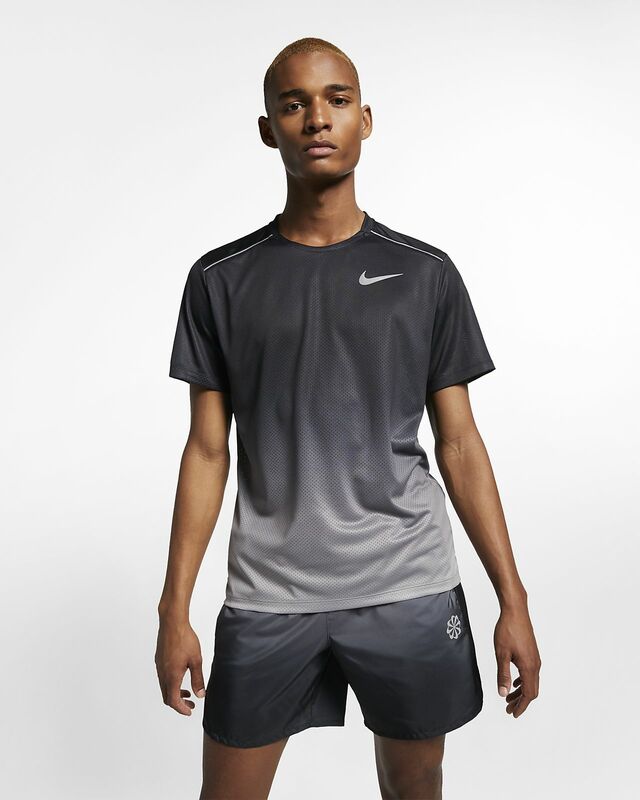 The Nike Dri-FIT Miler Top keeps you comfortable in sweat-wicking, breathable fabric. An all-over gradient design and playful pinwheel graphic on the back are inspired by a marathon in Hawaii. 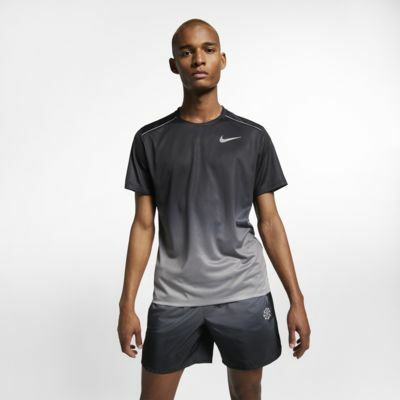 All-over mesh fabric is soft and breathable. Gradient design changes in tone from top to hem. Pinwheel graphic on the back pays homage to a Hawaiian marathon.